Scorpio is all about transformation and metamorphosis, and the New Moon solar eclipse is all about letting go of anything that no longer serves us. This double whammy of transformational celestial influences is the perfect time to take a closer look at what needs to be transmuted and/or shed in our own lives. I have devised a simple (not easy!) 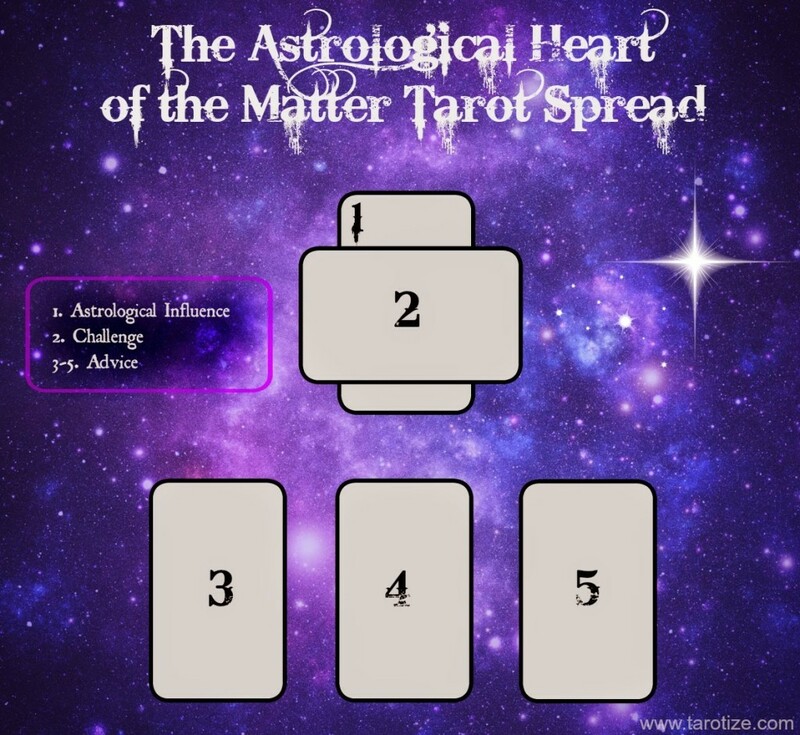 Astrological Tarot Tool for this specific purpose. 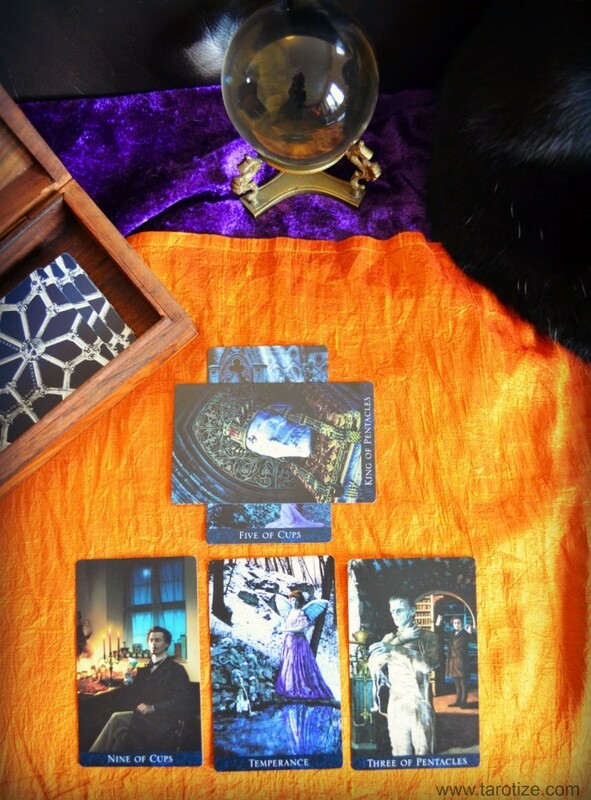 This Tarot spread can be adapted to suit any celestial aspect. Depending on which Astrological influence you are looking to do a reading on, you need to first separate out the corresponding Tarot cards. Shuffle these five cards well and randomly choose one face down. This is your first card. Death – Massive, life-changing transformation that has been a long time coming. You may be asked to completely abandon an old way of life or to end a toxic relationship. Knight of Cups – Focus is directed to romance and creativity and on the shadow side, it could point to jealousy issues. You may want to examine your intensity levels. Do you need to tone them down or do you need to ditch someone who is asking you to change? 5 of Cups – Are you wallowing in grief? Is your glass half empty? It is time to change that sad song you’ve got on repeat on Spotify and put some distance between yourself and the past. 6 of Cups – No, he’s not allowed to keep on abusing you by virtue of being a ‘soul mate’! Nostalgia could be keeping you trapped in relationships or behaviour patterns that no longer serve you. 7 of Cups – Time to cut back on drink and drugs? What could you be doing to bring more clarity into your life? How has keeping yourself in constant state of semi-confusion about your Life Purpose served you? It’s time to step out of the opium den and smell the fresh morning air! I do recommend working with a Dark Tarot deck as the New Moon / Dark Moon is the perfect time for introspection and Shadow work. 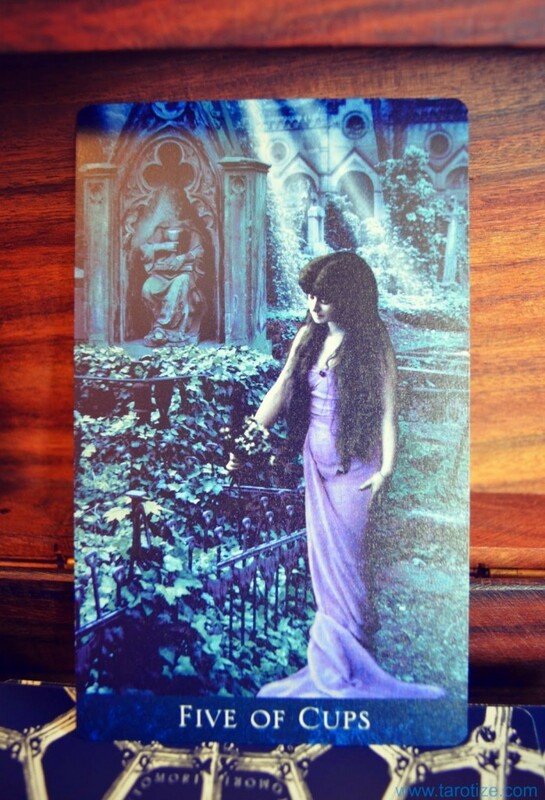 I chose the Bohemian Gothic Tarot and gained wonderful additional insights by reading the companion book. This is my favourite deck for Shadow work, as much for the wisdom contained in the companion book as for the hauntingly beautiful images. Introspection is also aided greatly by the current Mercury retrograde. This really is one of THE most auspicious times for Shadow work! This card crosses the first card. Try to really feel where the energy between the first two cards meets and where there is tension/grating between these two cards. It is in the tension you will find the challenge as well as the key to resolving it. When I tune into where the energy meets between these two cards, I feel that the tension is created by the desire to stay in a state of sadness/lethargy and the need to be responsible/proactive. Now that the patriarch of our family has passed on, I need to find a way of fitting the shoes of the matriarch. This is quite scary – especially when it comes to providing financially in the way my father (King of Pentacles) did, as I doubt myself in this capacity. The final three cards are to be read intuitively, based on the message(s) contained in the images. While I didn’t find it difficult to decipher the message in the three cards above for myself, I choose not to share it here for reasons that are my own. I hope you enjoy trying this way of reading the Tarot even if you do not normally bother with Astrological correspondences. I find that gaining focus and insight for Astrological transits, aspects and influences truly is one of the Tarot’s strong points… and I love that it makes me feel how interconnected everything is!